Home / Parking Matters Blog / Thing One or Thing Two: How to Choose? Thing One or Thing Two: How to Choose? We’re having an interesting discussion in our office about a relatively new, on-street meter technology that can automatically issue a parking citation (electronically) for exceeded time or failure to pay violations. The discussion transpired after a colleague shared a news story about a town that has been piloting these meters. The exchange we’ve had is a microcosm of the effort that normally happens when a new approach, new tool, or innovation is considered for implementation and offers some lessons in how we should evaluate new technologies. One of my colleagues noted the equipment’s advantages in terms of efficiency while another pointed out that there might be issues with battery life that needed to be accounted for. Another wondered how much more revenue in fines could be collected. My mind went immediately to customer satisfaction and the potential political fallout that might result by eliminating the discretion to write tickets in a red-light camera kind of way. No doubt revenue, labor savings, and operational costs are all important factors to be taken into consideration and very well may be the most important things to consider. But there are other factors, perhaps subjective in nature, with equal or greater importance. 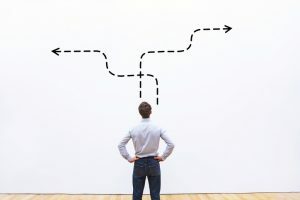 The trick is in figuring out what is most important to consider and whether the new thing we’re considering supports or detracts from our mission and big picture goals. Deciding between financial health and customer satisfaction can be a tricky thing at best and may require some soul searching and compromise. Equally important is to keep in mind the big picture when completing the analysis. There may indeed be operational efficiencies that come from a new technology (reduced enforcement staffing needs, for example) that are inadvertently negated because of inefficiencies elsewhere in the operation (say, adjudication and customer service). Each time we decide to make a big change that affects our customers, our financial health, and perhaps our own jobs, we must weigh many things simultaneously. Using a balanced approach based on strategic objectives and relying on objective and subjective analysis is likely to help us make the right choice. Casey Jones, CAPP, is vice president, mobility consulting, with Timothy Haahs & Associates, Inc.